eEuroparts.com® carries an extensive catalog of aftermarket, OEM, original, and genuine parts from over 200 manufacturers. We are also constantly updating our Aisin parts selection to give you the best possible selection of parts. Since their beginning, Aisin Seiki has been built on a long-standing dedication to "quality first." It's a principle that defines the organization, from product development and assurance through customer satisfaction, the environment and our sense of social responsibility and contribution. eEuroparts is constantly expanding our Aisin aftermarket range, by offering a variety of cooling and timing related parts. 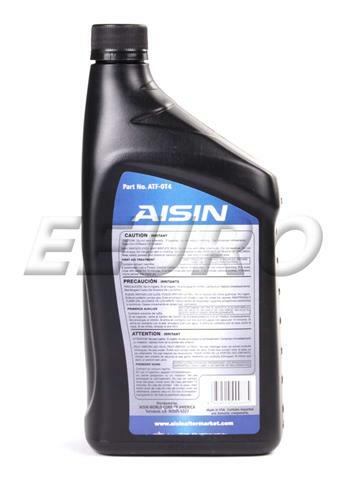 As one of the prominent leaders in Original Equipment automotive parts manufacturing, AISIN is over 73,000 employees strong in 150 associated global subsidiaries, and is the 5th ranked in the world by Top 100 Global OEM Automotive Parts Suppliers Sales Ranking in 2008 by Automotive News. The Group's strength lies in its unparalleled, comprehensive technological capabilities, which combine its broad product lineup with development and production capabilities. The Aisin Group works to transcend the boundaries of product fields with a fresh perspective toward building high value-added products that our customers enjoy for their safety, performance, design and comfort. 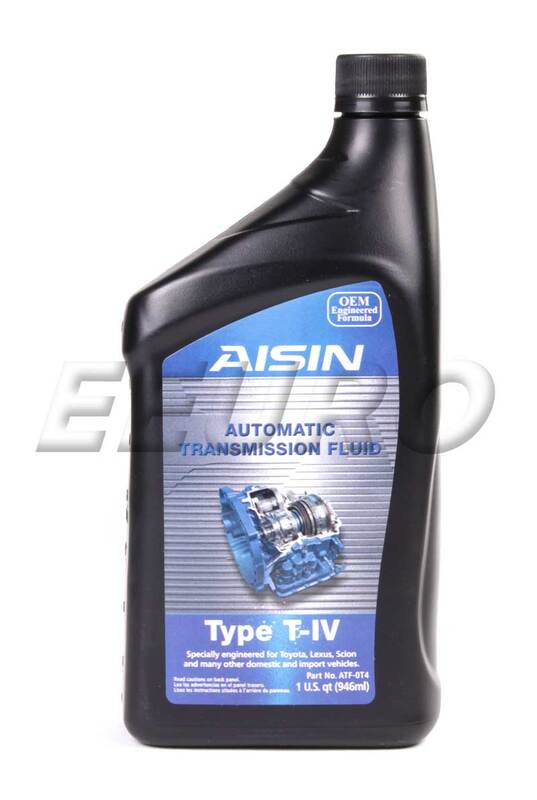 If this is not the exact Auto Trans Fluid (ATF) (Type T-IV) (1 Quart) you are looking for, or you would like this part in a brand other than Aisin, please contact us and one of our customer service experts will help you locate the exact part you need. eEuroparts.com® proudly offers wholesale prices and fast shipping available on most orders. We also provide inexpensive and guaranteed 3 day, 2 day, and Overnight shipping options, so if you need your Auto Trans Fluid (ATF) (Type T-IV) (1 Quart) tomorrow, eEuroparts.com® can deliver! Every eEuroparts.com® order is track-able, meaning you'll know exactly where your Auto Trans Fluid (ATF) (Type T-IV) (1 Quart) is at every step of the shipping process. eEuroparts.com® also displays your Expected Ship Date and transit time in your Cart, making our entire shipping process simple and transparent.